The body weight scale can be a very scary thing for many people. 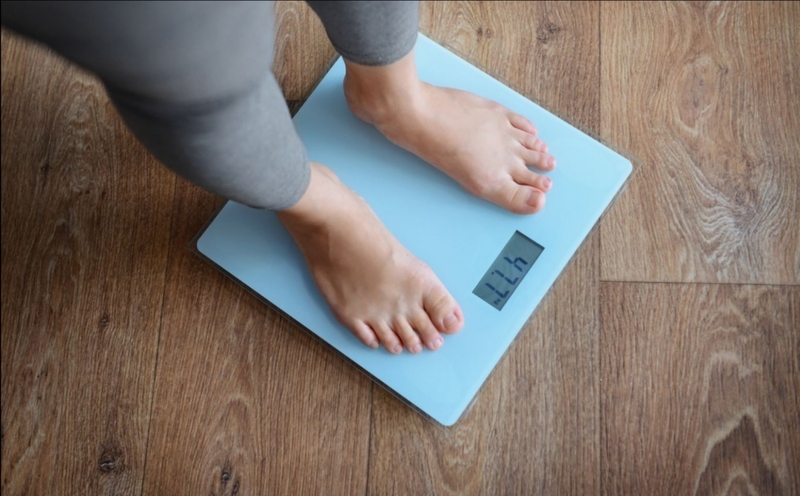 People often build up so much of their expectations, their definitions of fitness success, and have a strong emotional attachment to the number that shows up when they step on the scale. It should not be that way! The scale is ONE tool, ONE metric, out of many, that helps you to determine what your body is up to. You would not judge the performance of a car by only looking at ONE gauge. You must look at all kinds of hard numbers: lap times, top speed, rate of acceleration, tire temperature, lateral g-force, and the list goes on. Then you have to pair that with some soft values like the driver’s taste of the car, confidence entering corners, grip feeling, and more. My point with this analogy is that your fitness results and progress come from a wide variety of soft and hard values and you can’t put too much emphasis on body weight. One thing I always tell my clients is to try very hard to view their body weight objectively. It should not be an emotional number. Try to view the process in third person, almost like a science experiment. The test subject (you) has a variety of variables: diet, training, sleep, stress, hydration, etc. and that has resulted in an objective metric that helps guide you (and your trainer) in manipulating variables. This is another funny gender difference in behavior when it comes to the scale. I think all women can relate; the men I’m going to poke fun at though are usually athletes or weight lifting enthusiasts. Girls have a tough time with even the slightest weight gain, but there are quite a few scenarios where an increase in weight can be good. For instance: putting on lean muscle tissue, being properly hydrated, and having proper nutrition, just to name a few main cases. Unless you’re comparing the weight gain to body composition, then you don’t actually know why you gained weight. If you’re doing everything right and the scale goes up, take it into consideration, but likely it’s not a bad thing. Now for my gain-hungry guys, the scale going up can be bad. I know we all like to think the 20 pounds we put on is solid muscle, but unless you’re a genetically gifted person who has had very little exposure to weight training, that kind of reaction is very improbable. Put the weight on slowly and steadily and you’re more likely to add quality weight over quantity weight. You’ll look better, feel better, and be more likely to hold onto the gains when you go into a diet phase to get off the extra bodyfat. A very common and often very scary scenario for some people is that they will need to gain weight, in order to lose weight and maintain a healthy weight in a sustainable, long term way. Many people, although in need of losing weight, under eat healthy calories. To properly restore someone’s metabolism, get them functioning healthier, and set them up for long term success, generally a substantial calorie increase is needed. This almost always results in short term weight gain. Don’t get scared and punk out. Ride it out; you only need to do this once. Allow your metabolism to elevate to a normal or faster than normal rate, and you’ll have sustainable weight loss and weight management forever, and work significantly less-hard to do it. There are so many factors that affect weight: hydration, salt intake, sleep, glycogen levels, effects of travel, effects of stress, and many more. Bodyweight fluctuation is very normal. I try to advise clients against weighing once to judge progress. For general progress monitoring I prefer to advise clients to weigh two to three days in a row and take an average. In clients that are on very strict programs, their weight is much more predictable and fluctuations can be accounted for. But in more general fitness scenarios, there are simply too many variables changing by the day or even hour to not account for this by taking an average. When you weigh is directly connected to the result you will see. When monitoring progress, the best time to weigh is first thing in the morning. Go to the bathroom and wear the same thing every time you weigh. This will minimize the fluctuations. Assuming you sleep the same amount of time and don’t wake up for any intake of fluids or food, you’ll likely be in a similar state every morning and can rely on good readings. Depending on your diet, fluid, and many other factors, it’s not uncommon for people to gain five plus pounds throughout the course of the day. https://gregmccoy.net/wp-content/uploads/2017/11/Low-res-scale.jpg 961 1549 Greg McCoy /wp-content/uploads/2018/12/logo_large.png Greg McCoy2017-11-22 08:04:452018-10-14 19:03:46Don’t Fear the Scale! Five Tips for Not Missing Meals Is Competing in Physique Sports Healthy?